The quality of coatings on metal profile sheets has improved significantly in recent years. Nevertheless, the cut edge and overlapped joint remain especially vulnerable due to the effects of capillary action drawing sulphur contaminated rainwater into the joint causing the double hazard of “topside” and “reverse side” corrosion. 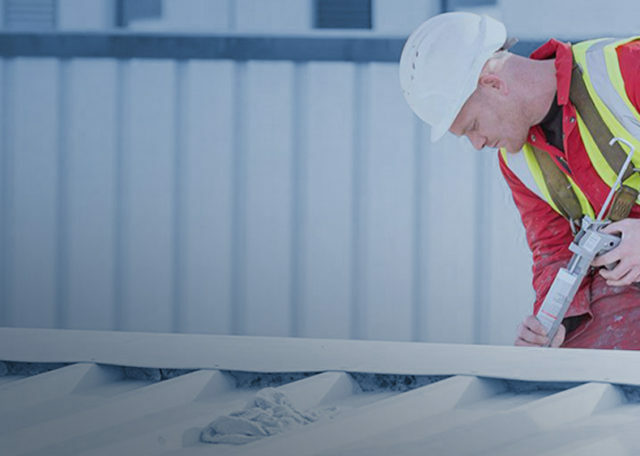 The GIROSIL® EDGE RC-E System is designed to provide effective long life solution to the problem of corrosion at cut edges and overlap joints on profiled metal roofs. It is a fully moisture tolerant system that completely encapsulates the lap joint area preventing water ingress and providing maximum protection against further corrosion. To find out more about how NSS can help with your Cut Edge Corrosion, please get in touch on 03459 677477.